This article examines three teams that would be the best landing spots for LeBron if he chooses to leave Cleveland this offseason. At the time of writing this article, the Cleveland Cavaliers and Boston Celtics are fighting for a spot in this year's NBA Finals to take on either the Houston Rockets or the defending champions, the Golden State Warriors. The series is currently tied 2-2, but if the last seven seasons are anything to go by, LeBron James will probably make it back to the Finals, again. Since returning to Cleveland in the summer of 2014, LeBron has brought much success to the Cavaliers. James has already led Cleveland to three straight NBA Finals appearances, managing to win once in 2016. If James and the Cavs manage to win their series against Boston and make it to the Finals again, it may be the last time we see LeBron play for the Cavaliers. 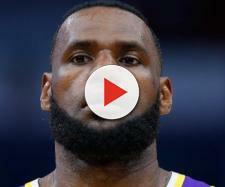 LeBron, now 33, may very well take his talents to another franchise unless the Cavaliers can attract another star to join the team, or make a substantial trade to provide James with adequate support to take down the Warriors. I will now look at the teams who would best fit King James if he does decide to depart Cleveland for the second time. There is a chance LeBron could re-sign with the team that drafted him in 2003. Cleveland is obviously a special place to LeBron, as it is his hometown team, but the affinity LeBron has for Cleveland probably won't be a big factor in making his decision this summer. James has already delivered a championship to his hometown and there is nothing left for him to accomplish in Cleveland. The Cavs also have very little wiggle room in terms of finances to sign star caliber free agent this offseason. So unless Cleveland can muster up a blockbuster trade, I wouldn't expect to see LeBron in a Cavs jersey next season. Philadelphia is an interesting landing spot for LeBron. The 76ers are stacked with young talent like Ben Simmons and Joel Embiid, but also have very capable veterans like Robert Covington, JJ Redick, and Marco Belinelli. The 76ers made leaps and bounds this past season and navigated their way to the second round of the playoffs, before being eliminated by the Boston Celtics. Simmons impressed the entire NBA world as he stuffed the stat sheet from his point guard position. Embiid, an all-star, and Covington made NBA All-Defensive teams this season as well. 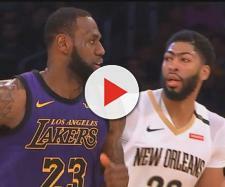 Putting LeBron in the middle of this team could be amazing for young talents like Simmons, who are bound to progress and become better players by playing alongside James. The only downside to James joining the 76ers would be that Ben Simmons would have to work off-ball more, and with his terrible jump shot, Simmons would be quite ineffective in that role. As previously stated at the beginning of this article, the Houston Rockets are currently playing for a spot in the 2018 NBA Finals, which means, LeBron could end up playing against the Rockets for a championship. Or not. Either way, Houston could end up signing the best player in the league for a couple reasons. First, Houston has proved that they are a championship-ready team. Houston finished with the best record in the entire league, and adding the best player in that league should, in theory, breed great success. Another reason LeBron could join the Rockets is Houston not only has arguably the best scorer in the league in James Harden, but they have one of LeBron's closest friends in Chris Paul. The last time James teamed up with one of his close friends, he and Dwyane Wade won two championships. Not only that, but Houston has a myriad of solid role players like Eric Gordon, Clint Capela, and Trevor Ariza who could aid LeBron, Harde, and Paul in their quest for an NBA championship.